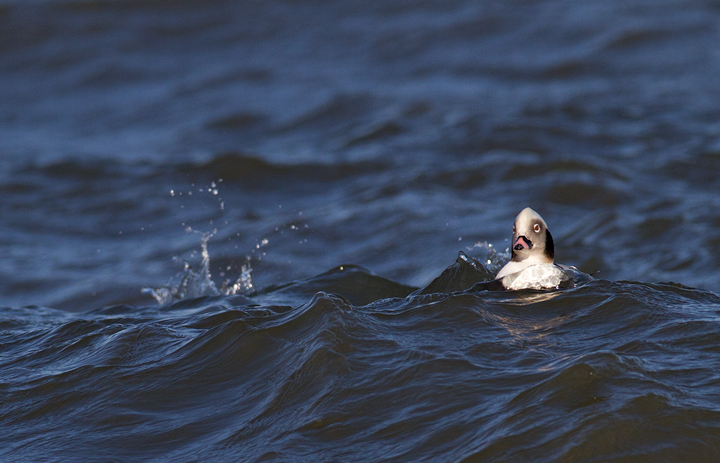 Winter in Maryland. Last updated: 2/23/2013. 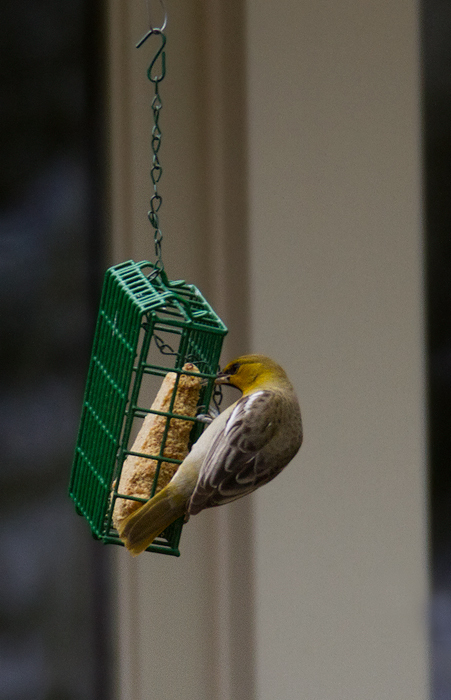 Above and below: Maryland's third Bullock's Oriole, an immature male hosted by Dennis Kirkwood in Harford Co., Maryland (2/11/2013). First county record and the first record with photo documentation. 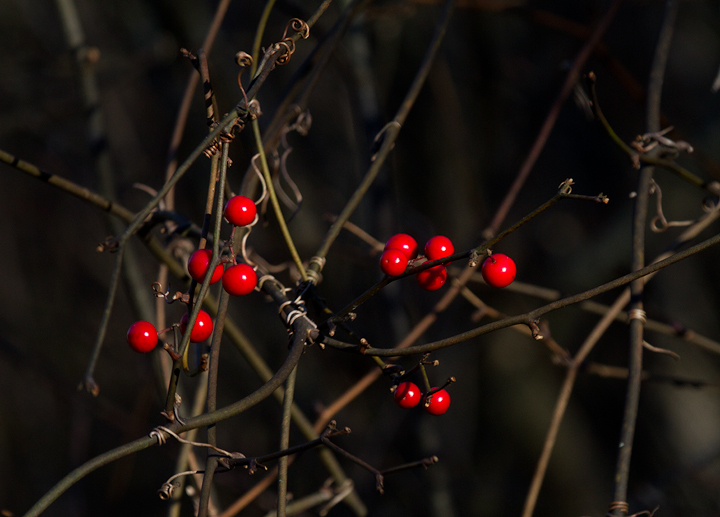 Below: Coral Greenbrier in Worcester Co., Maryland (1/19/2013). 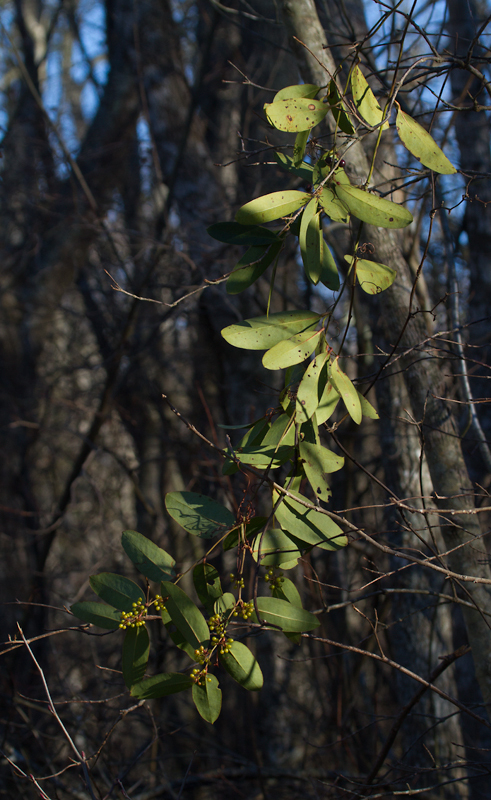 Below: Laurel-leaved Greenbrier with unripe fruit in inland Worcester Co., Maryland (1/19/2013). 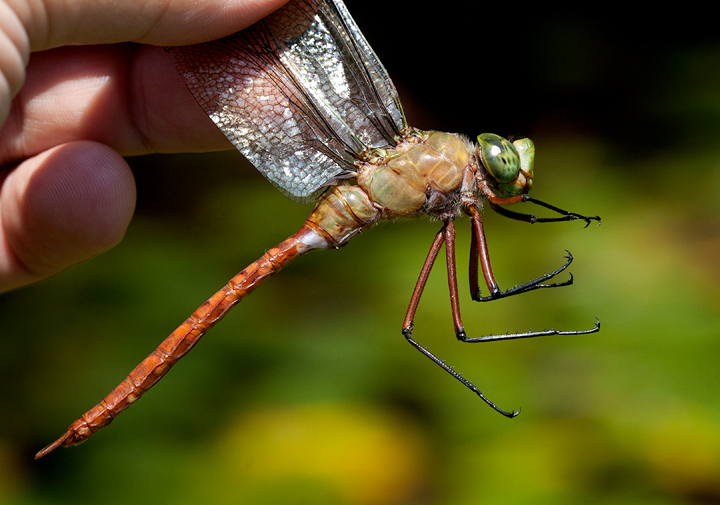 Below: A Comet Darner in Wicomico Co., Maryland (7/14/2007). 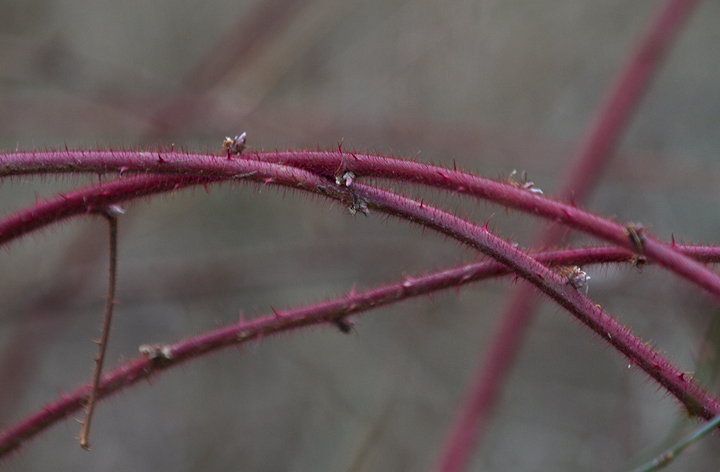 Below: A close-up of a rush in Calvert Co., Maryland (2/10/2013). 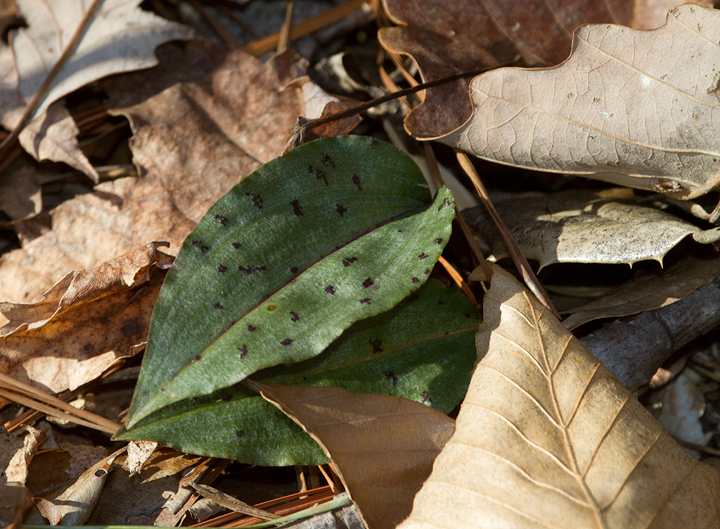 Below: Apheloria virginiensis corrugata in Calvert Co., Maryland (2/10/2013). 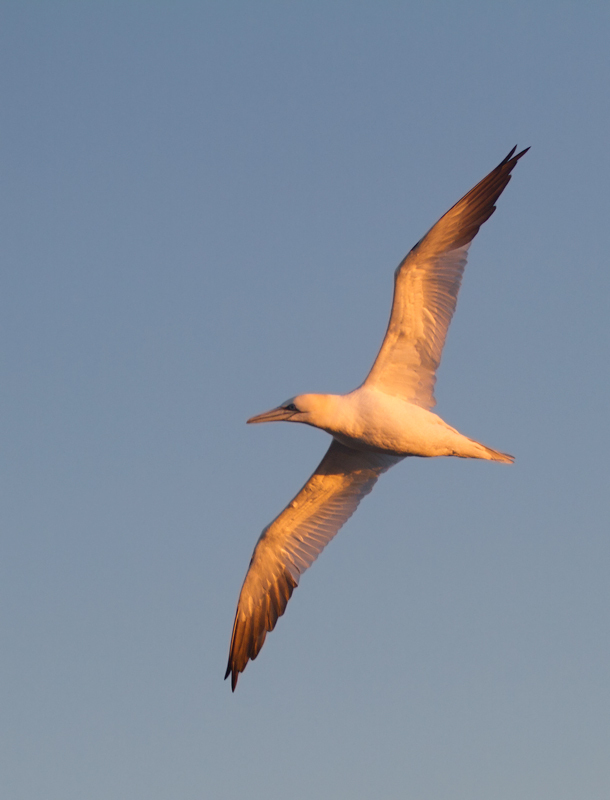 Note that this species' defense mechanism involves secreting a chemical defense including cyanide. Avoid touching or immediately wash hands after handling. 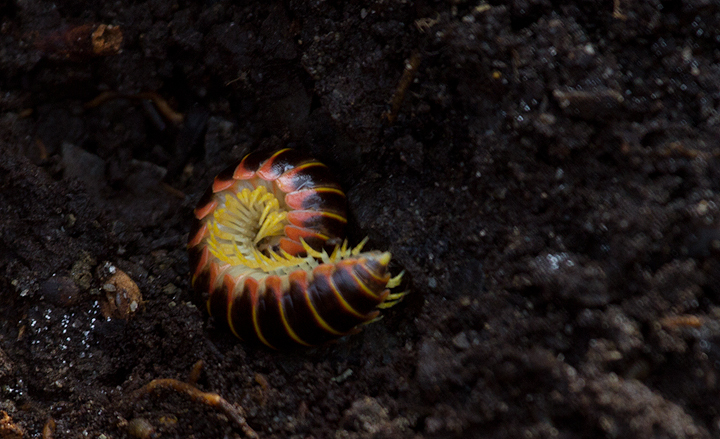 Do not let children handle millipedes that look like this. 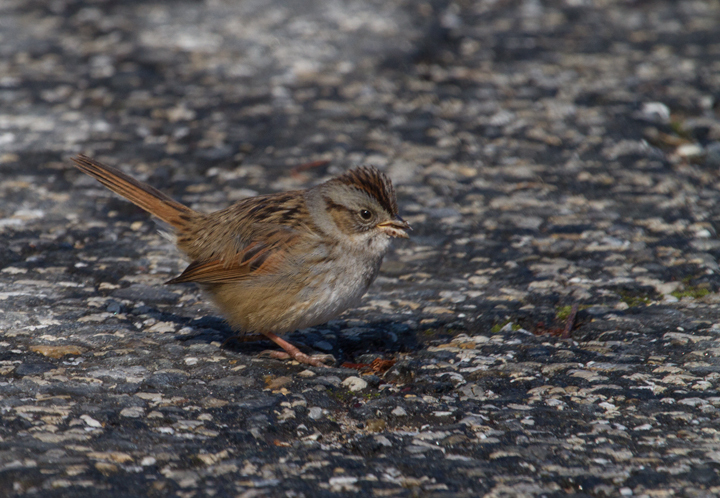 Below: A Swamp Sparrow at Fort Smallwood Park, Maryland (1/26/2013). 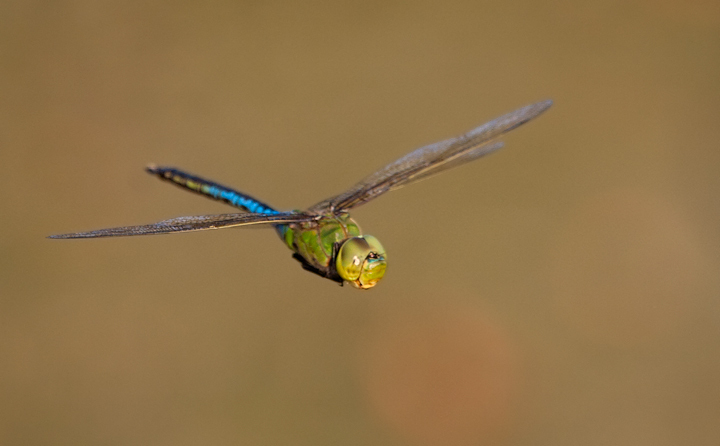 Below: A Common Green Darner patrolling Wicomico Co., Maryland (7/26/2007). 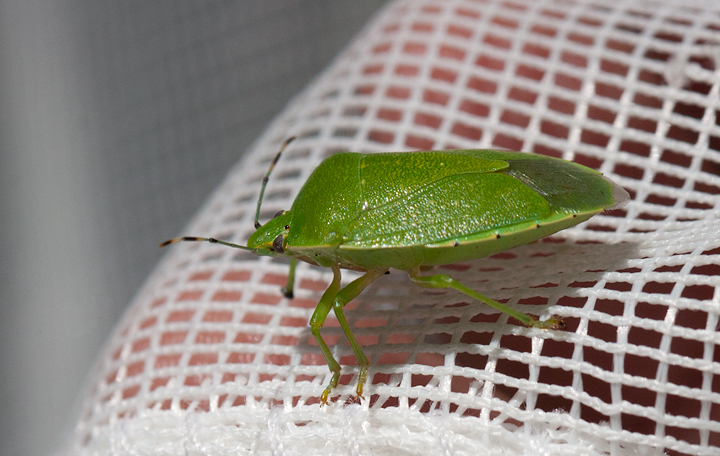 Below: A Green Stinkbug in Wicomico Co., Maryland (7/14/2007). 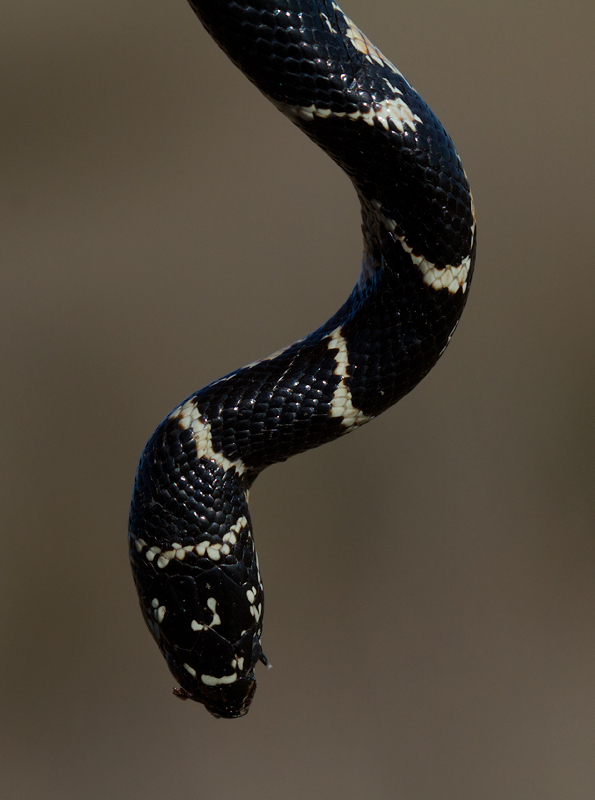 Below: A juvenile Eastern Kingsnake found recently killed by a car on the open saltmarsh in Somerset Co., Maryland (1/20/2013). 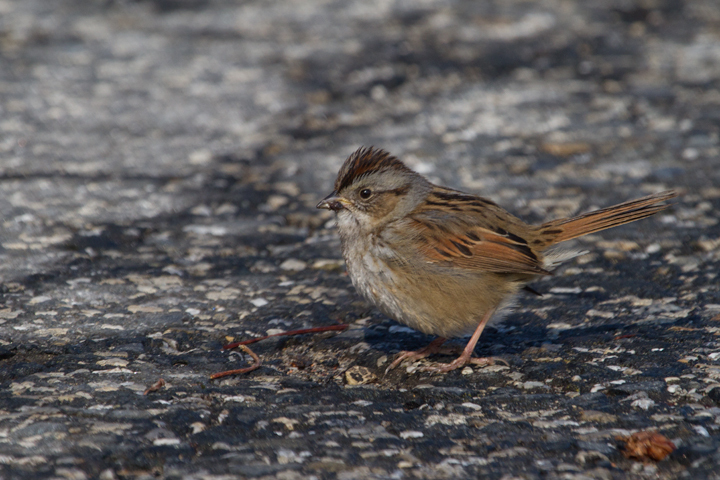 Specimen was collected for the Salisbury University collection. 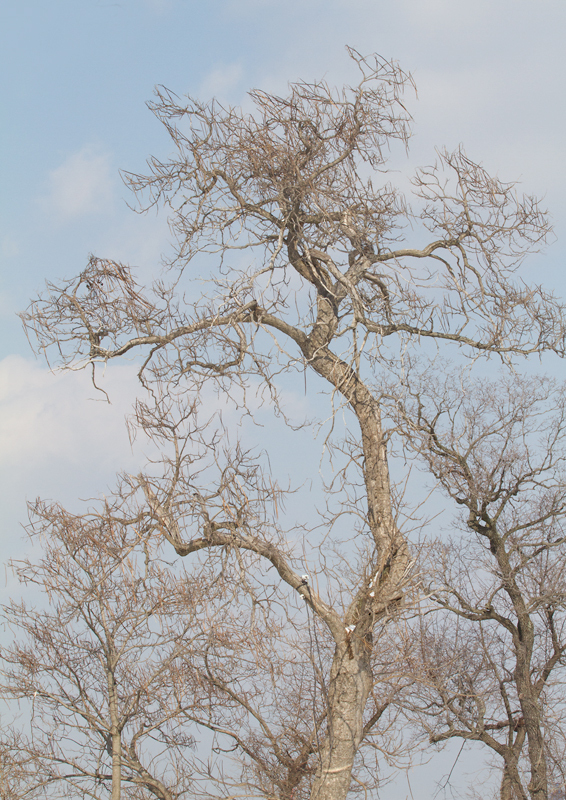 Below: Southern Catalpa at Fort Smallwood Park, Maryland (1/26/2013). 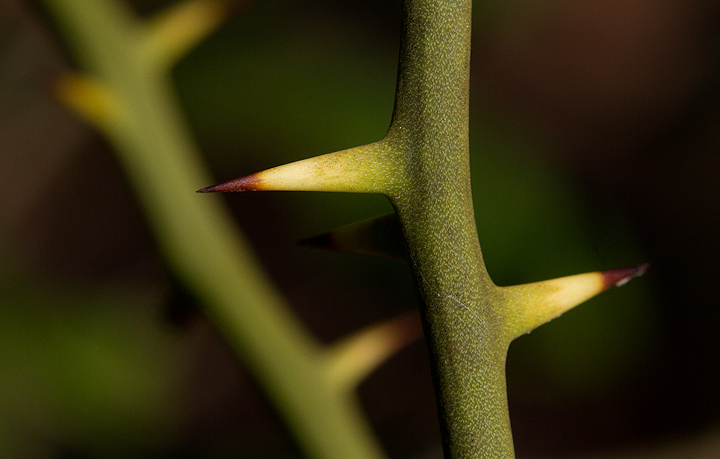 Note the decidedly scaly bark. 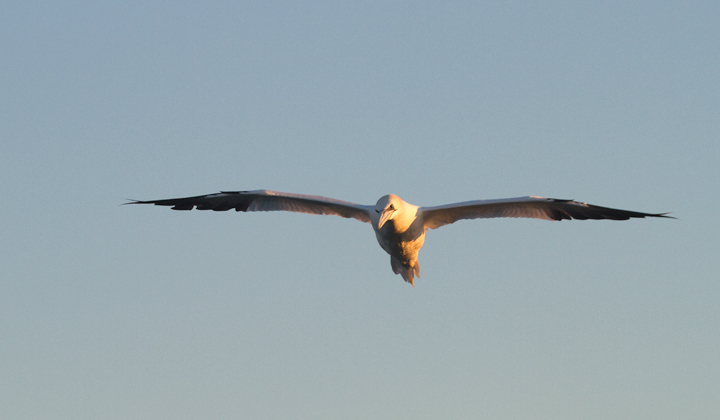 Below: A Northern Gannet off Ocean City, Maryland (1/19/2013). 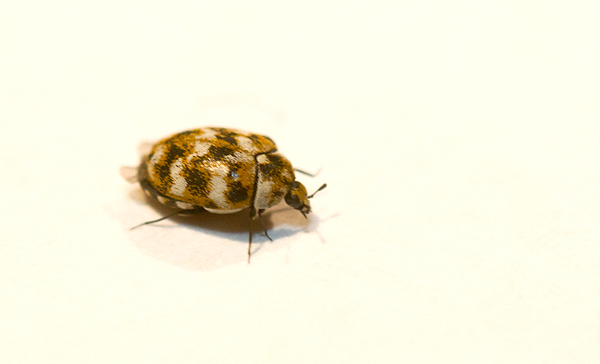 Below: A Varied Carpet Beetle in Pasadena, Maryland (2/18/2013). 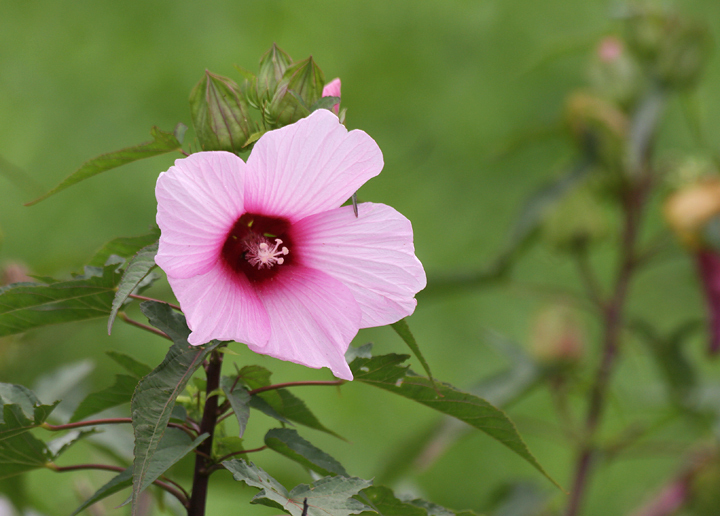 This tiny species is abundant and widespread in the U.S., introduced to North America around 1850. 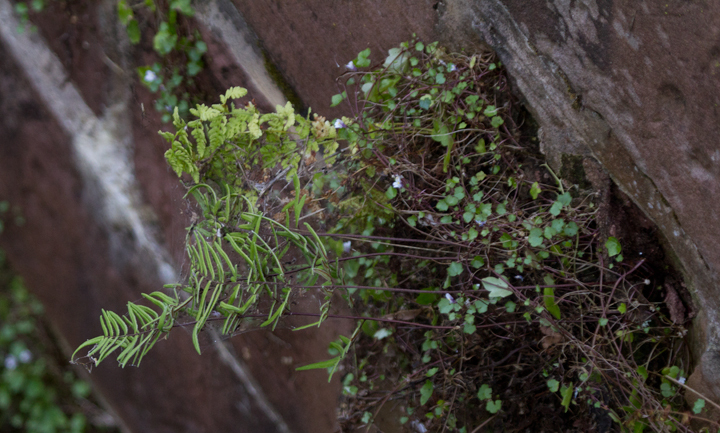 Common in buildings year-round. 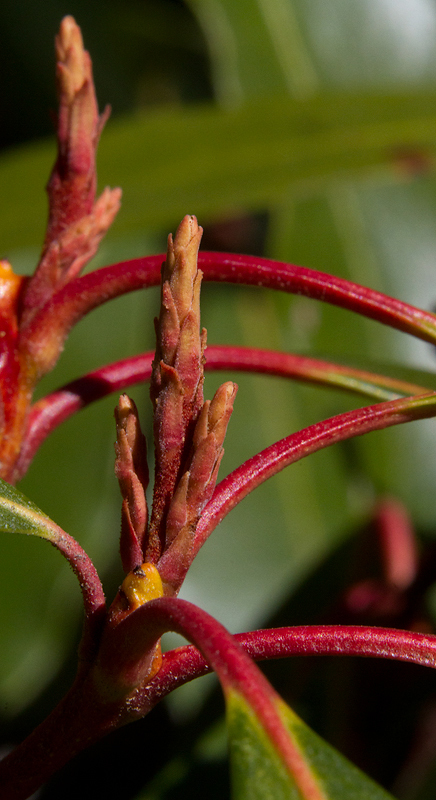 Below: Mountain Laurel sensing the approach of spring in Anne Arundel Co., Maryland (2/18/2013). 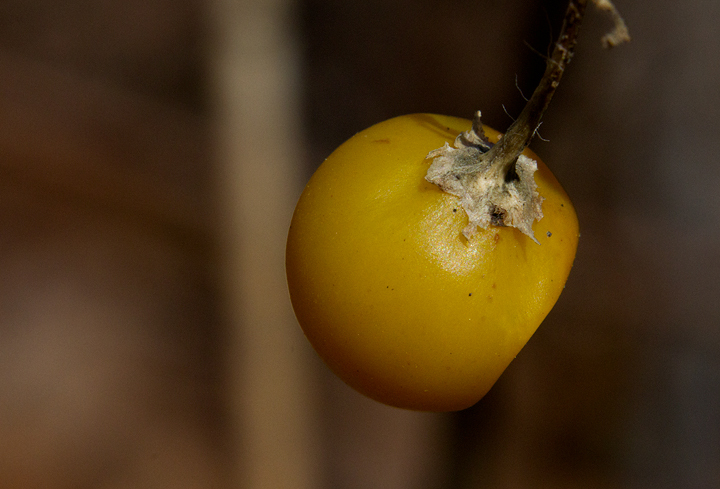 Below: The distinctive fruit of Carolina Horsenettle is often retained through winter - Anne Arundel Co., Maryland (2/18/2013). 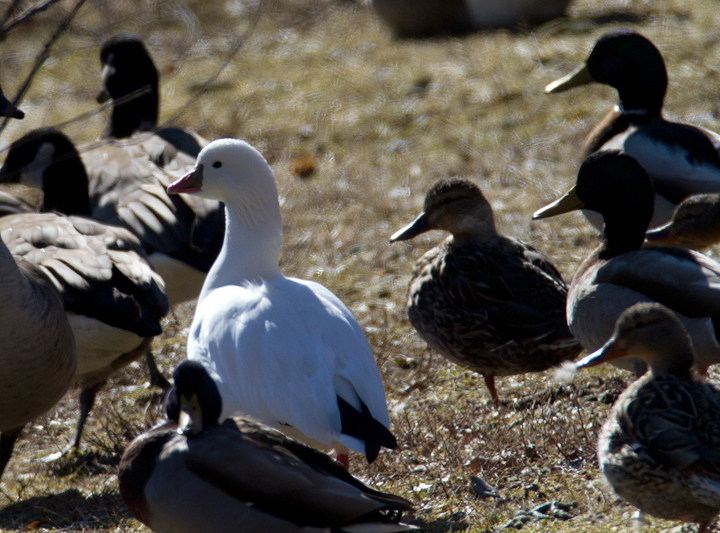 Below: A Ross's Goose in Owings Mills, Maryland (2/17/2013). 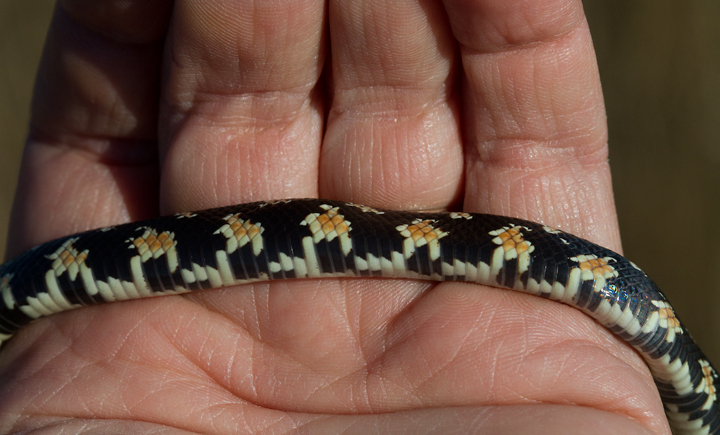 First county record found by Andy Smith. 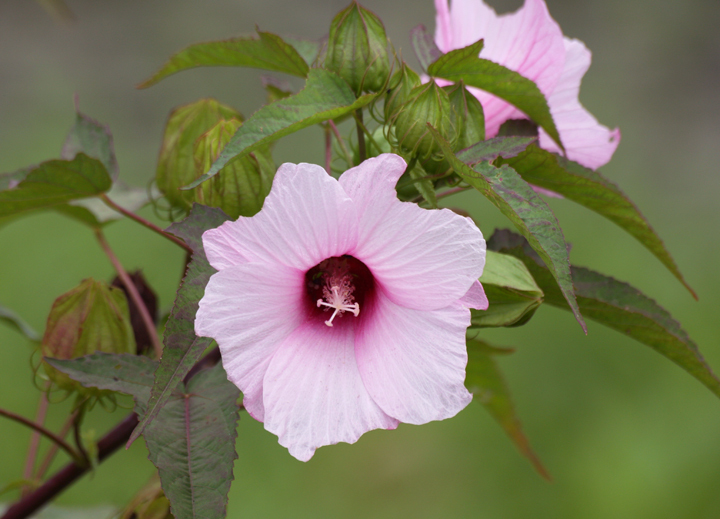 Below: Halberd-leaved Rosemallow in Montgomery Co., Maryland (7/31/2009). Below: Common Greenbrier close-ups at Downs Park in Anne Arundel Co., Maryland (2/14/2013). 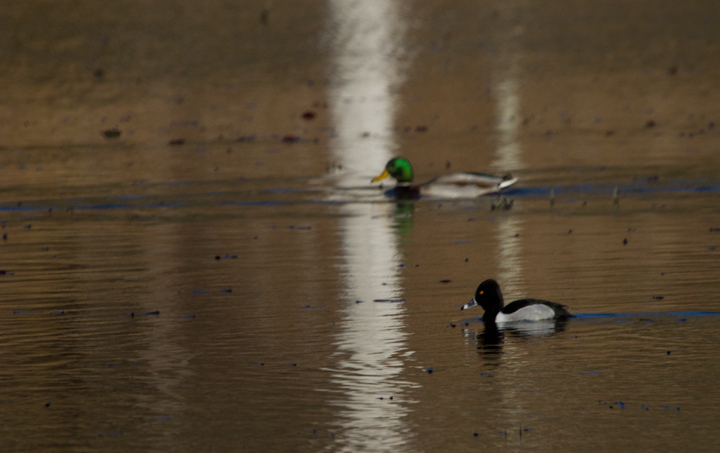 Below: Drake Ring-necked Ducks on Loch Raven Reservoir, Baltimore Co., Maryland (2/18/2013). 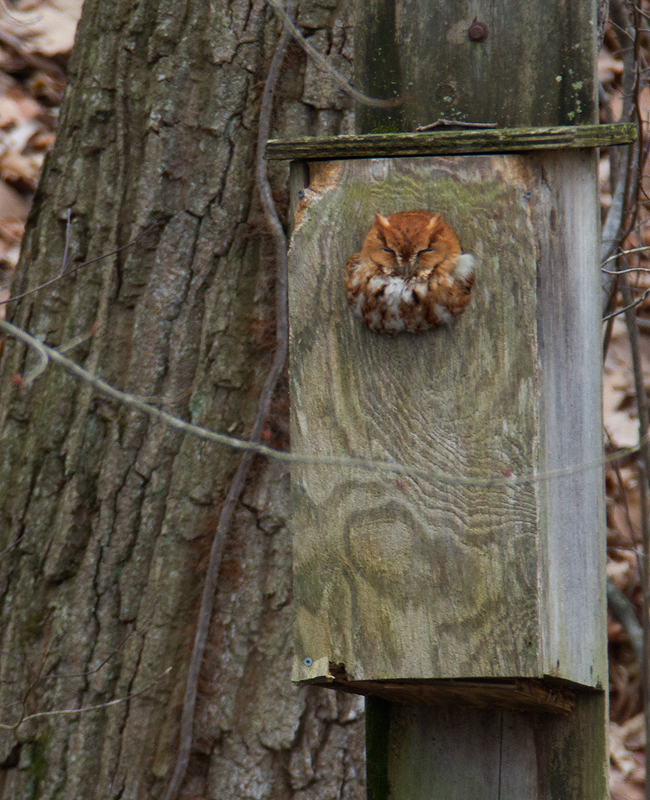 Below: An Eastern Screech-Owl sunning at the entrance to a Wood Duck box in Harford Co., Maryland (2/12/2013). 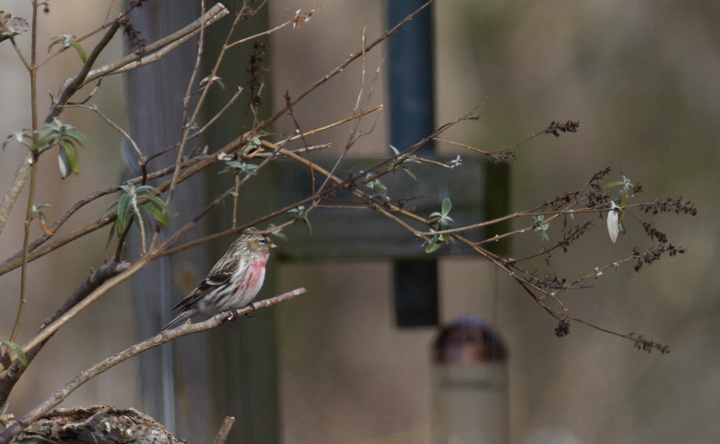 Below: A Common Redpoll at King's Landing Park, Calvert Co., Maryland (2/10/2013). 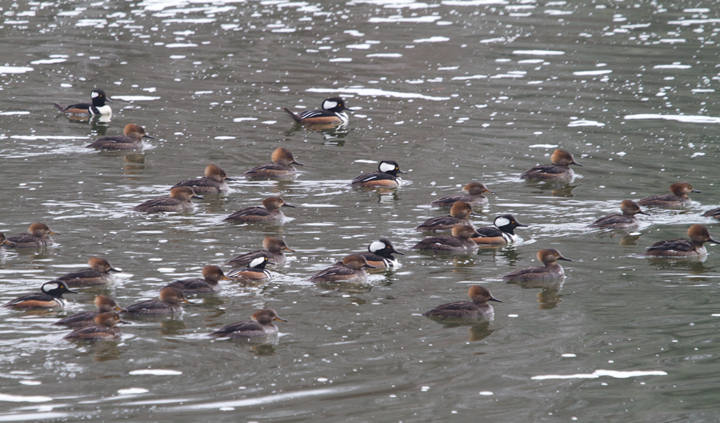 Below: Part of a very large flock (134) of Hooded Mergansers at Loch Raven Reservoir, Maryland (2/3/2013). 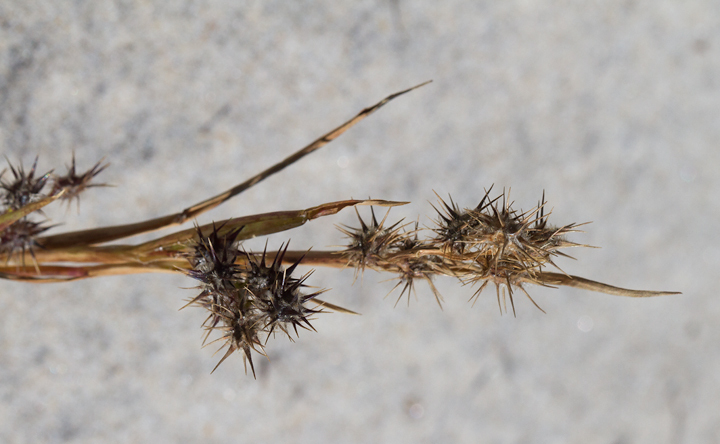 Below: Sanddune Sandbur on Assateague Island, Maryland (10/13/2012). 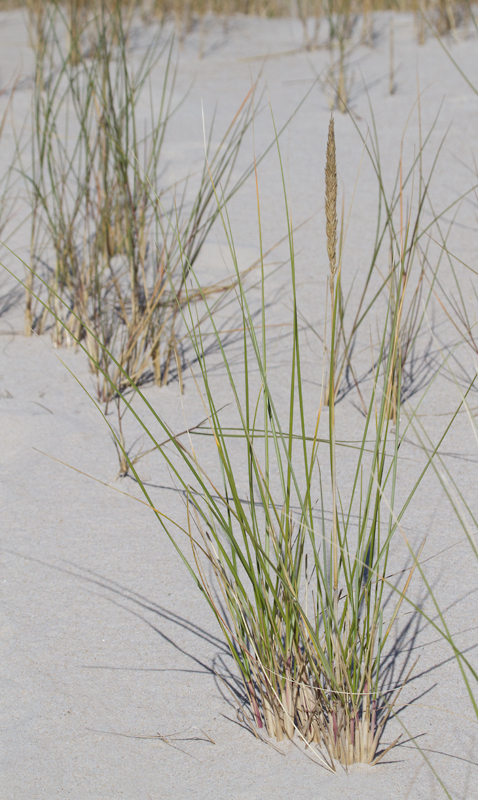 Below: American Beachgrass on Assateague Island, Maryland (10/13/2012). 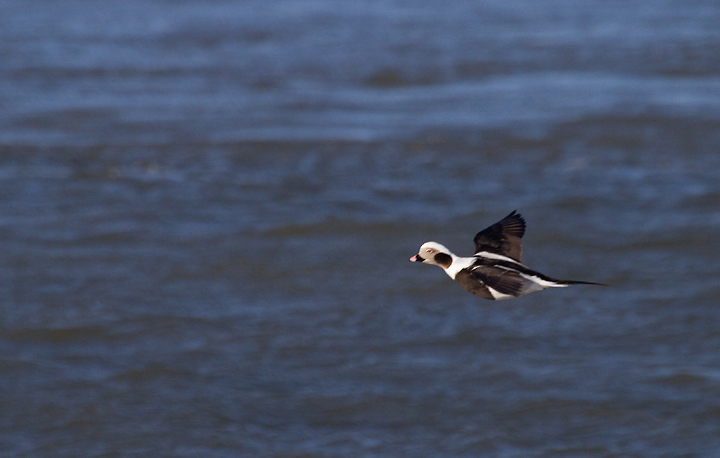 Below: An adult male Long-tailed Duck in flight at the Indian River Inlet, Delaware (2/9/2013). 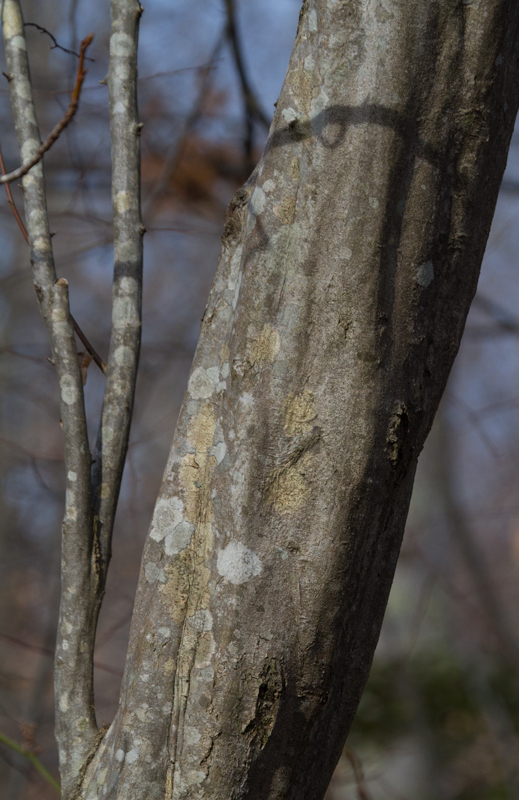 Below: The trunk of American Hornbeam in Calvert Co., Maryland (2/10/2013). 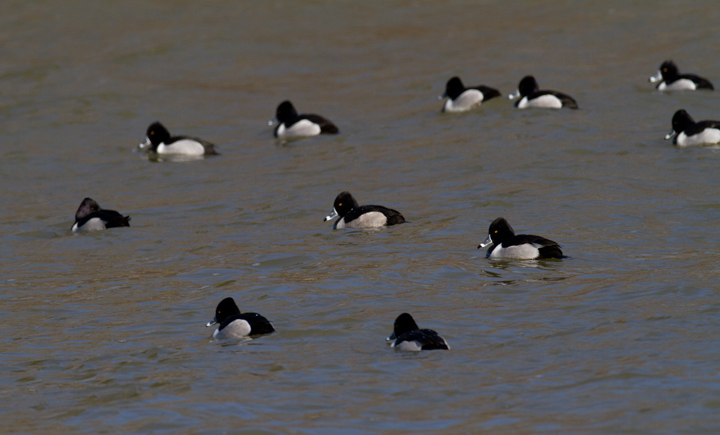 Below: An adult male Ring-necked Duck at Calvert Cliffs SP, Maryland (2/10/2013). 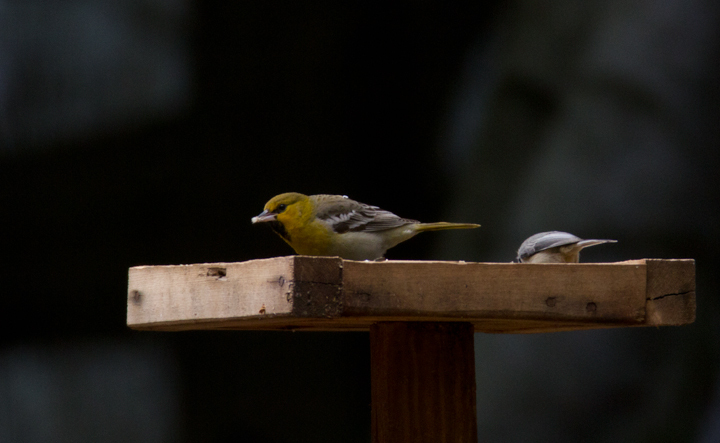 Uncommon in the county and first record for the site in eBird. 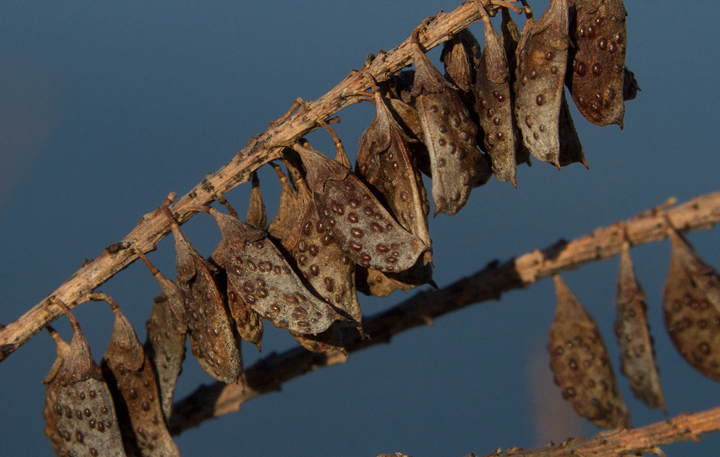 Below: Cranefly Orchids in winter in Calvert Co., Maryland (2/10/2013). 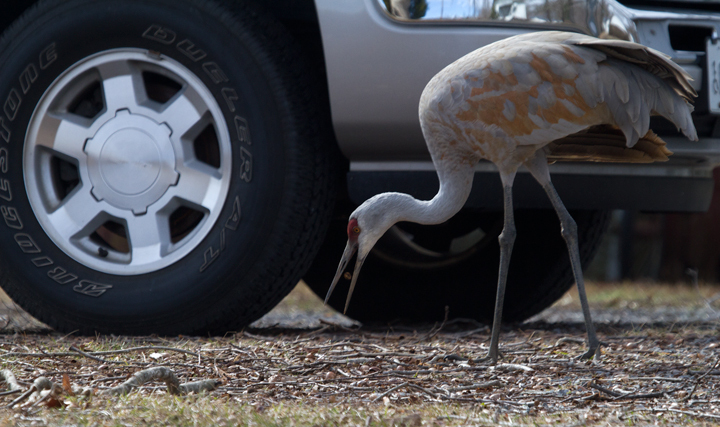 Below: A continuing Sandhill Crane in Calvert Co., Maryland (2/10/2013). 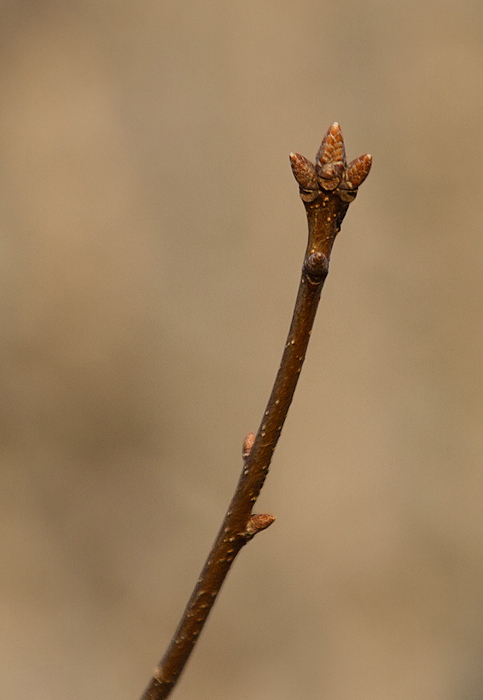 Below: The young leaves of Japanese Honeysuckle can have this very different, oak-like shape. 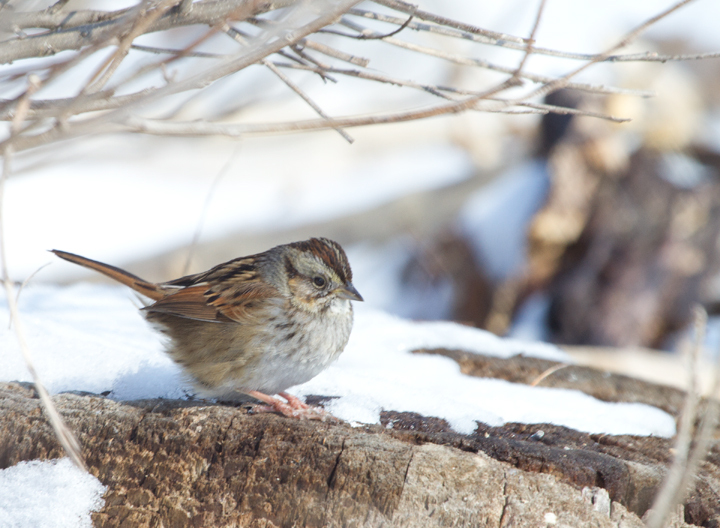 Photographed in Calvert Co., Maryland (2/10/2013). 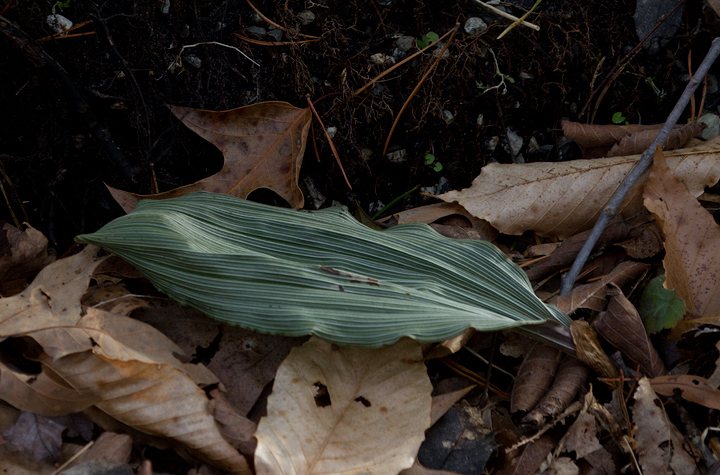 Below: Puttyroot in winter in Calvert Co., Maryland (2/10/2013). 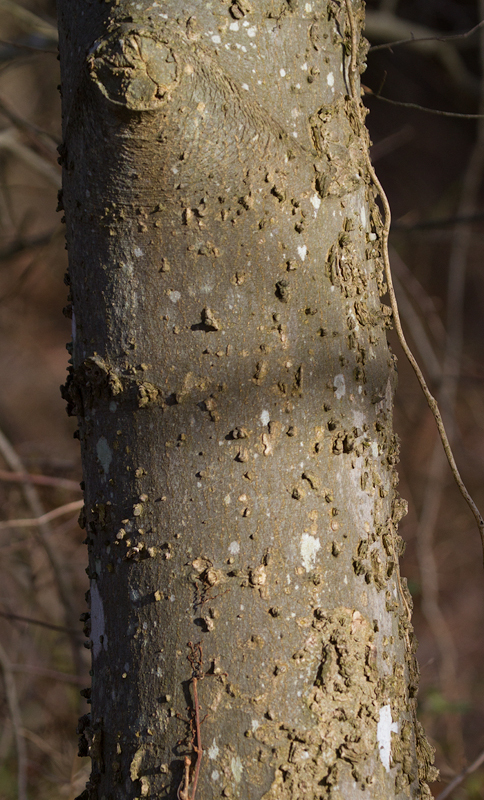 Below: Common Hackberry near the Patuxent River in Calvert Co., Maryland (2/10/2013). 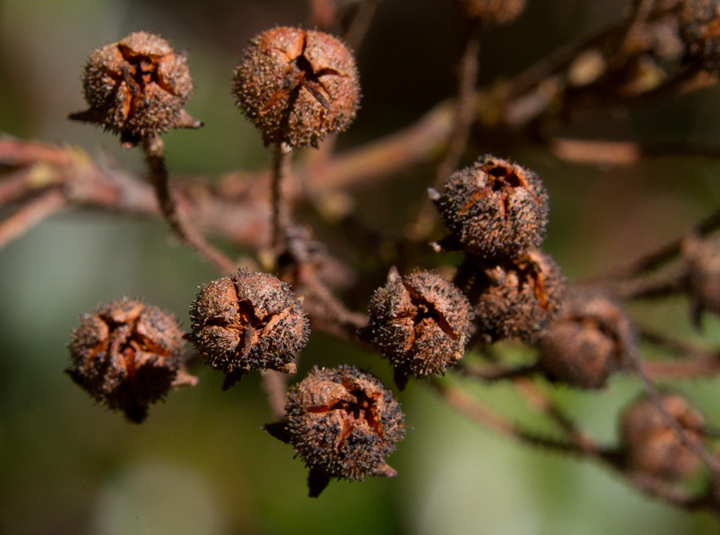 The persisting winter fruit on this tree was shriveled and not smooth, a useful feature for ruling out Southern Hackberry. 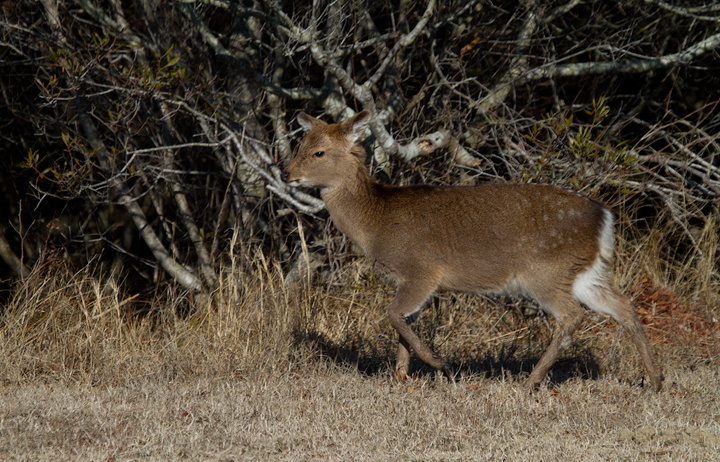 Below: A Sika Deer on Assateague Island, Maryland (2/9/2013). 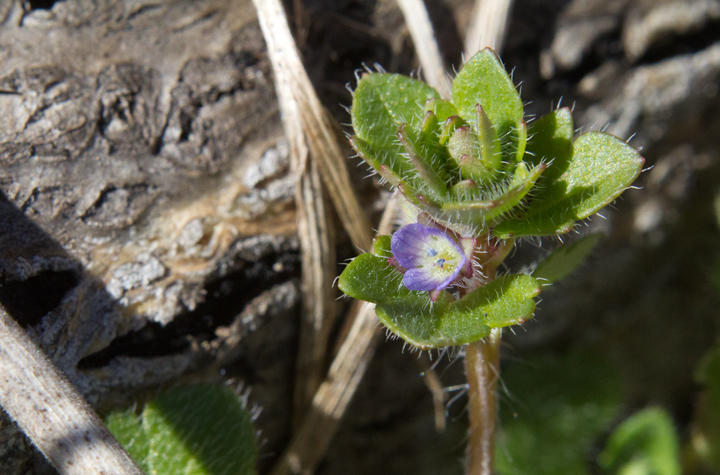 Below: Corn Speedwell in Anne Arundel Co., Maryland (2/18/2013). 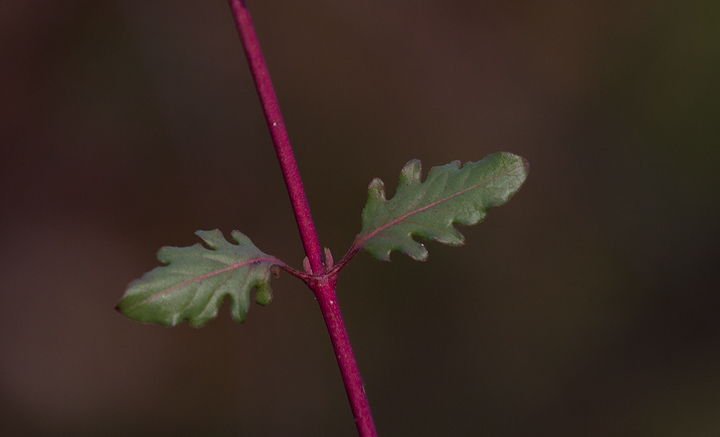 Note hairy stem and leaves, leaf and flower shape, and stalkless flower. 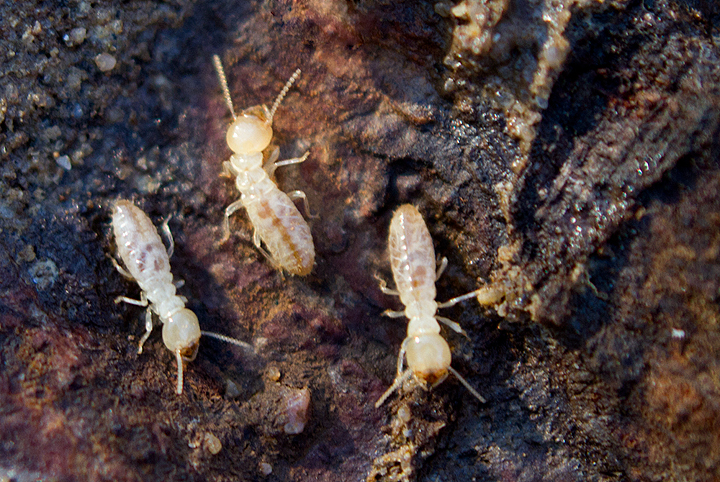 Below: Termites found under a log in Anne Arundel Co., Maryland (2/17/2013). 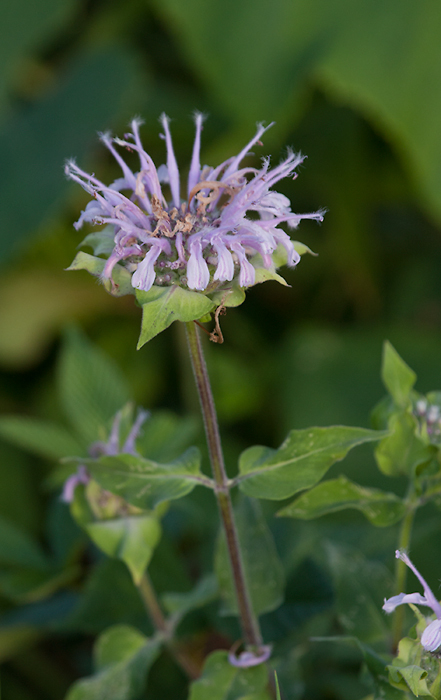 Below: Wild Bergamot in Carroll Co., Maryland (7/15/2009). 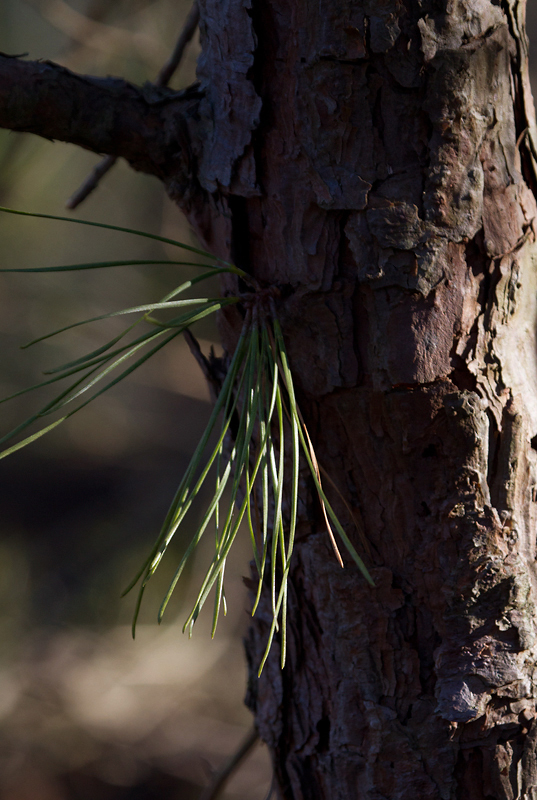 Below: Pitch Pine in Anne Arundel Co., Maryland (2/14/2013). 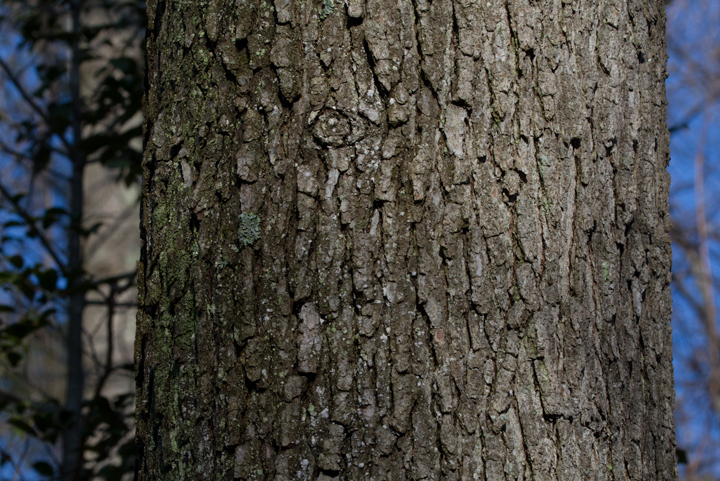 Key field marks include needles in clusters of three, longer needles than Virginia (but shorter than Loblolly), often with clusters of needles growing from the trunk. 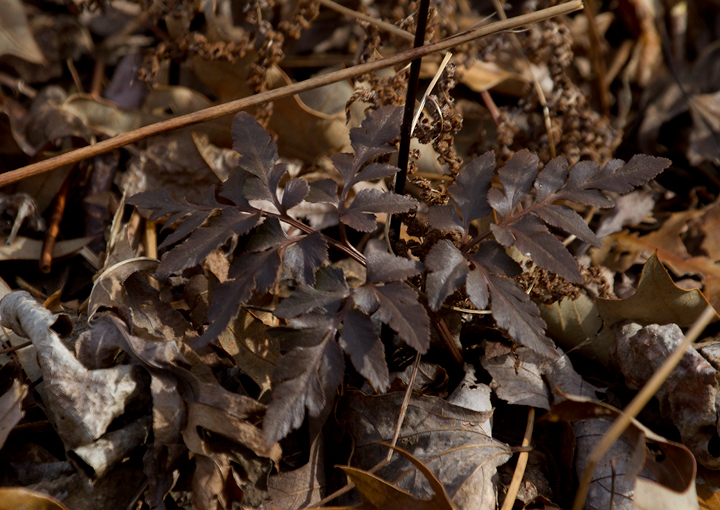 Below: Cutleaf Grapefern in winter in Calvert Co., Maryland (2/10/2013). 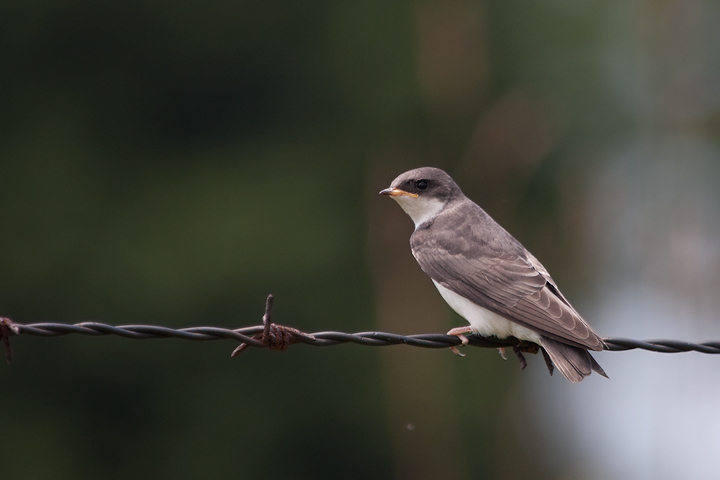 Below: A juvenile Tree Swallow in Prince George's Co., Maryland (6/20/2009). 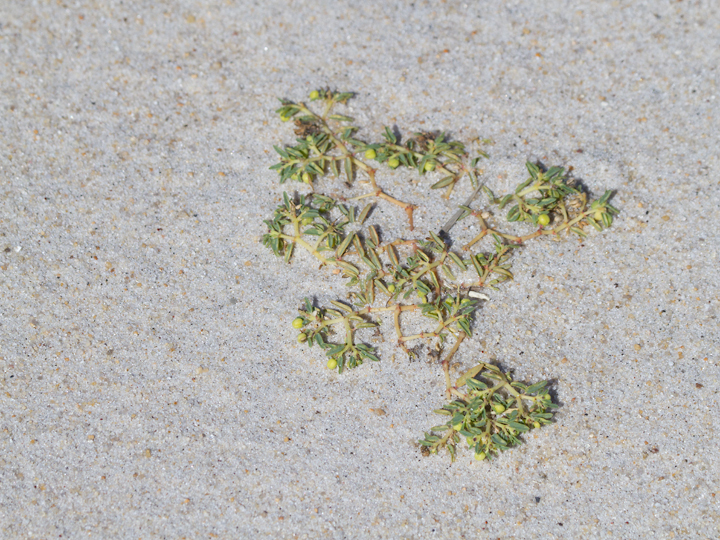 Below: Seaside Spurge on Assateague Island, Maryland (10/13/2012). 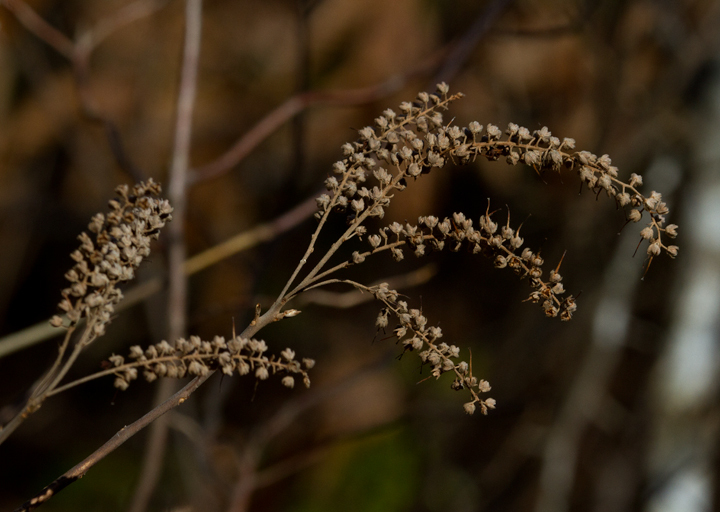 Below: Coastal Sweet Pepperbush in Calvert Co., Maryland (2/10/2013). 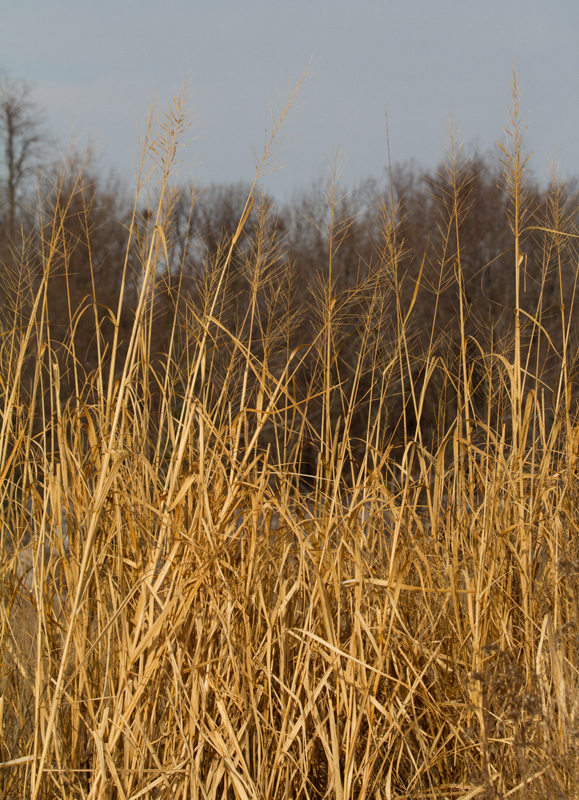 Below: Big Cordgrass in Anne Arundel Co., Maryland (1/26/2013). 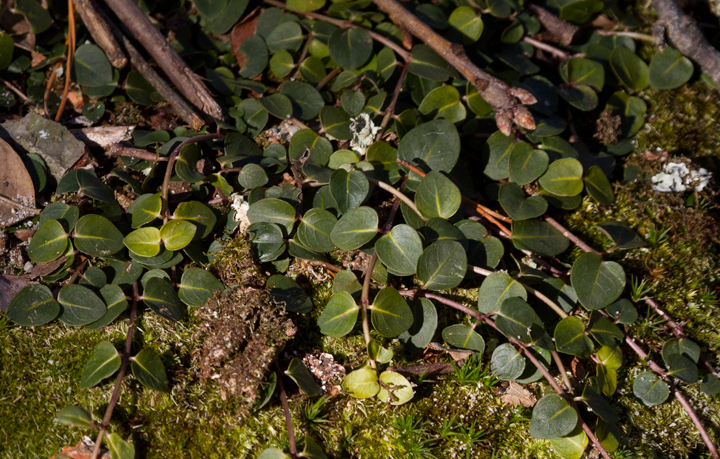 Below: Partridgeberry in Calvert Co., Maryland (2/10/2013). 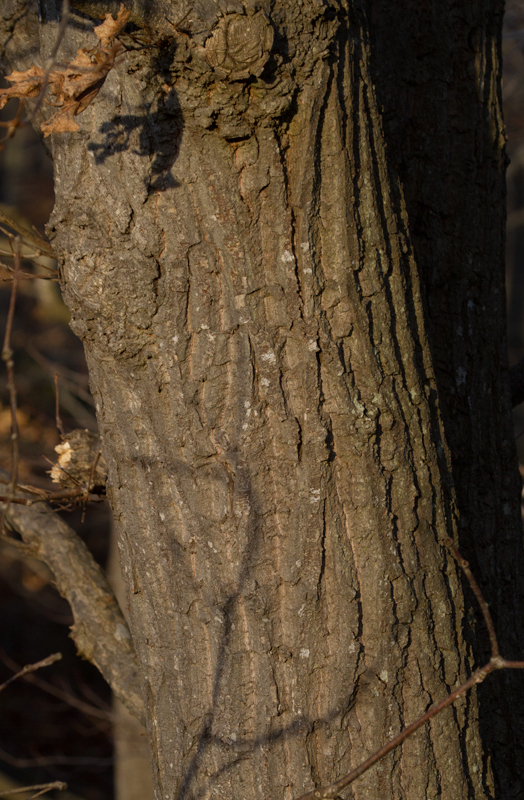 Below: Chestnut Oak in Calvert Co., Maryland (2/10/2013). 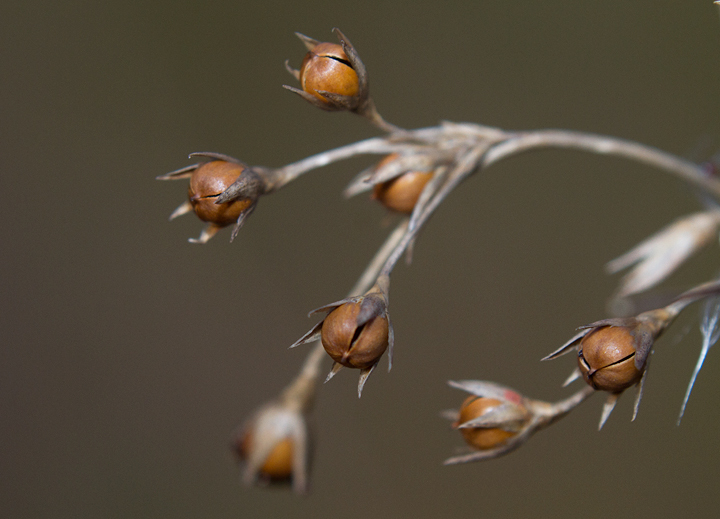 The buds are very similar to those of Basket Oak, but slightly more pointed. 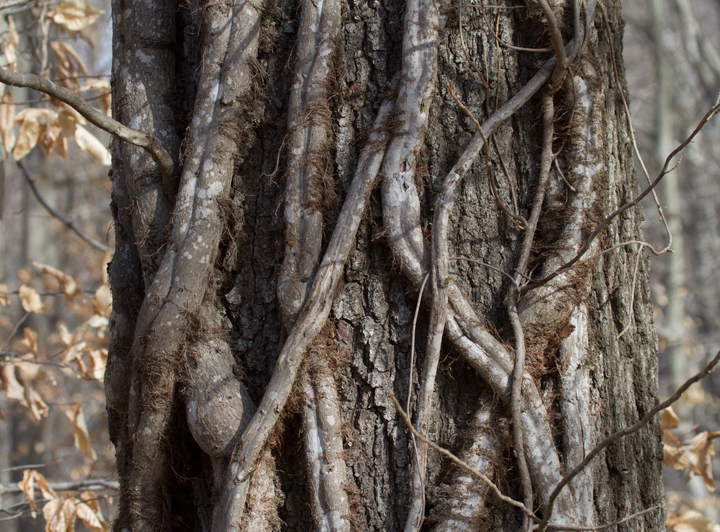 Below: Eastern Poison Ivy growing as a heavy vine in Calvert Co., Maryland (2/10/2013). 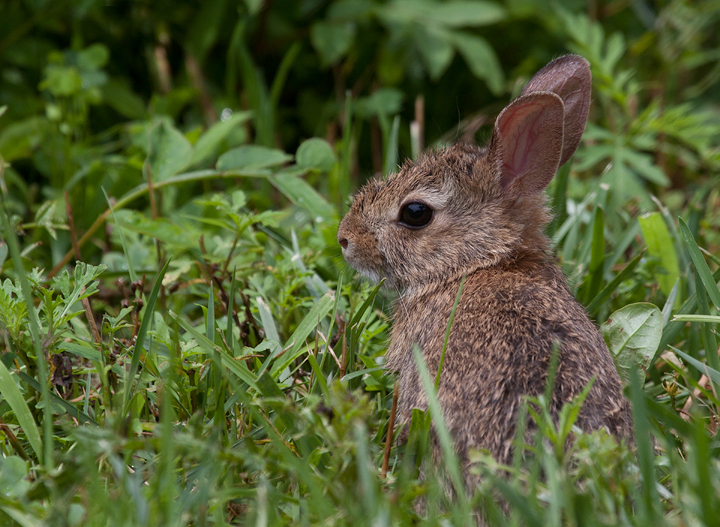 Below: A baby Eastern Cottontail in Prince George's Co., Maryland (6/20/2009). 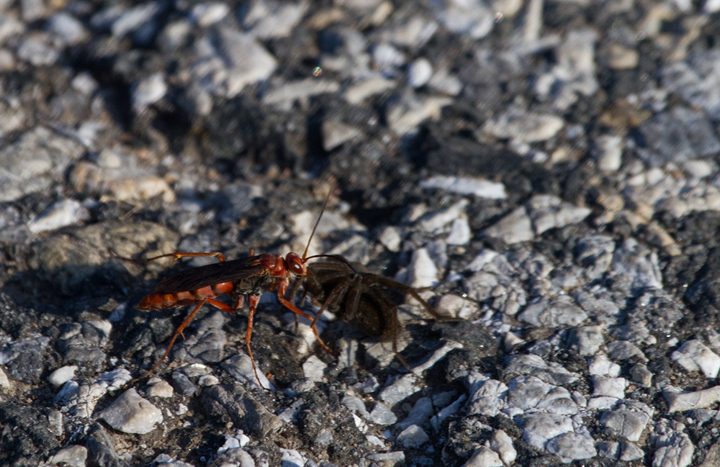 Below: An interesting wasp at Fort Smallwood Park, Maryland (8/27/2010). 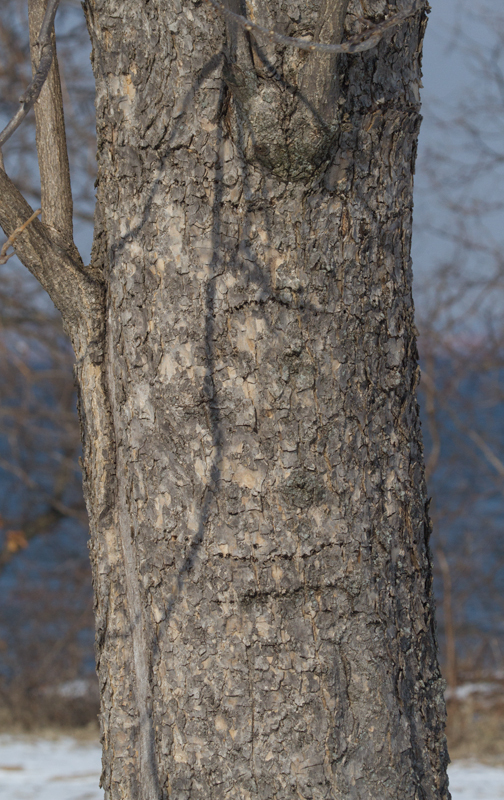 Below: The trunk of a Black Oak in Anne Arundel Co., Maryland (2/14/2013). 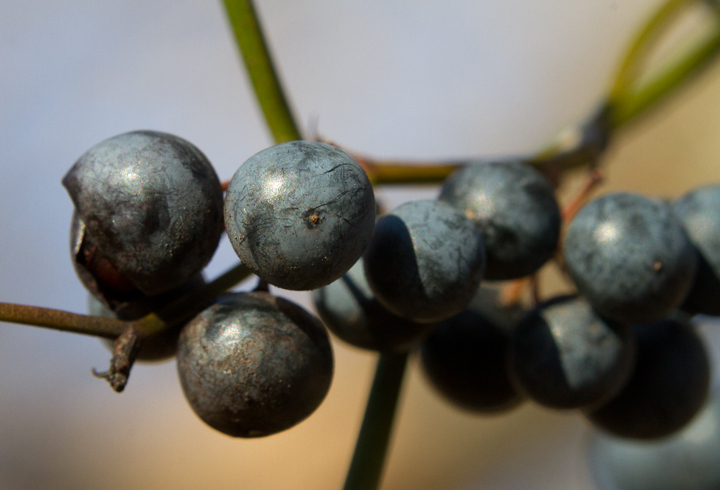 Below: Close-up of False Indigo Bush in winter - Fort Smallwood Park, Maryland (2/18/2013). 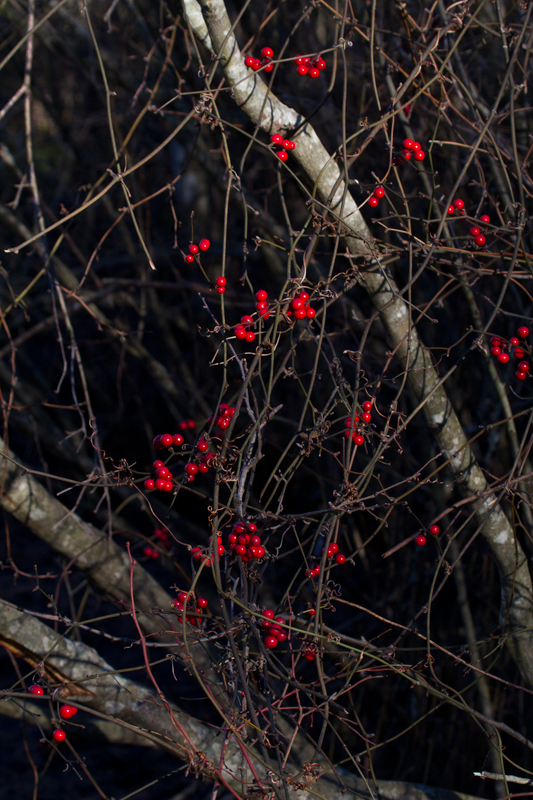 Below: Wineberry in Howard Co., Maryland (1/21/2013). 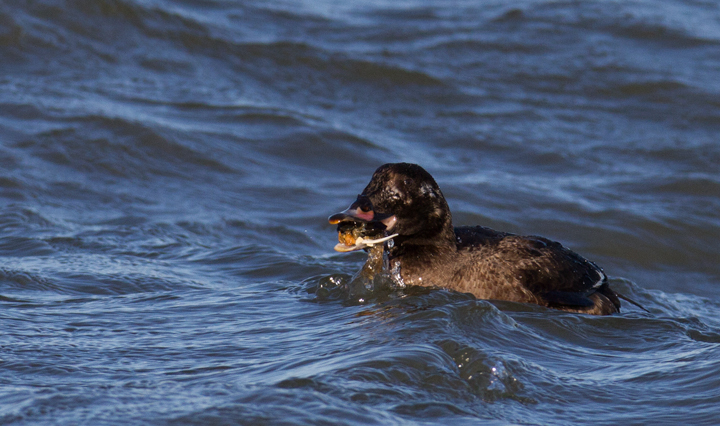 Below: White-winged Scoter with mollusk prey at the Indian River Inlet, Delaware (2/9/2013). 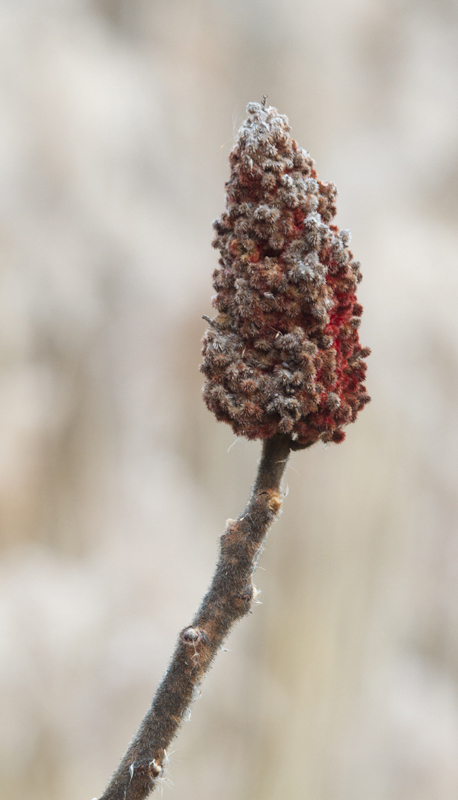 Below: Staghorn Sumac in Anne Arundel Co., Maryland (2/3/2013). 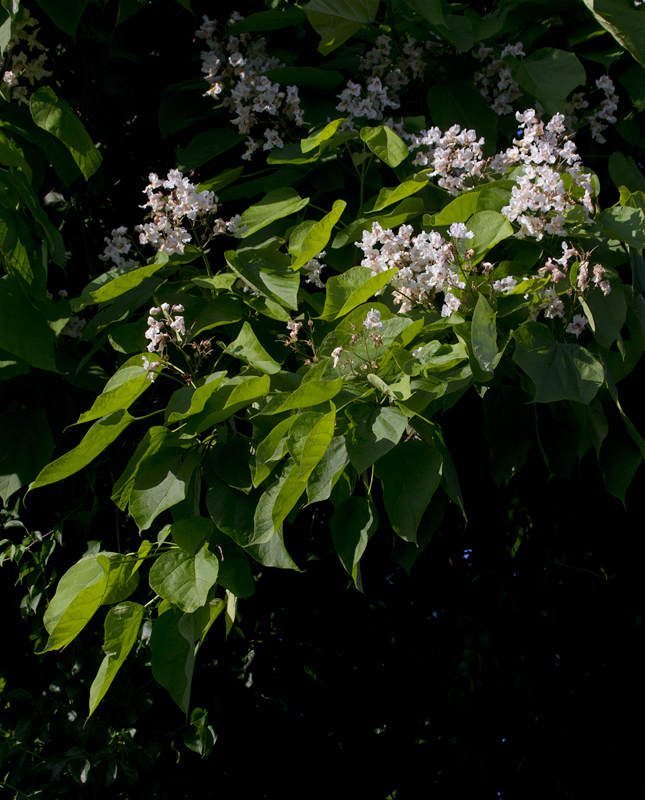 Below: Northern Catalpa at Fort Smallwood Park, Maryland (5/23/2012). 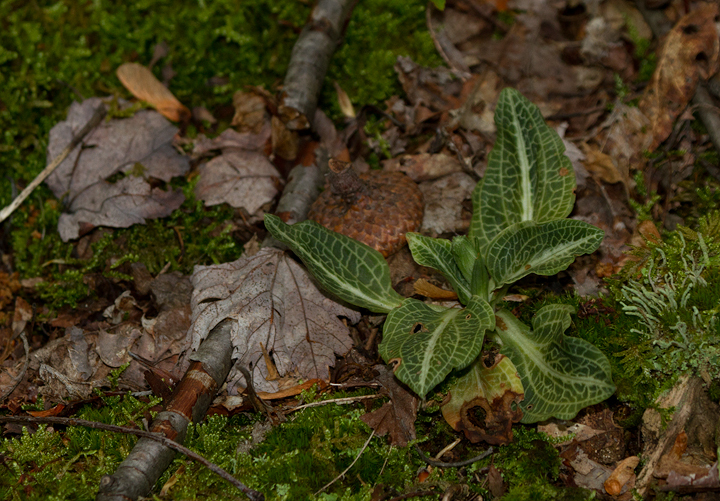 Below: Downy Rattlesnake Plantain in Garrett Co., Maryland (6/12/2011). 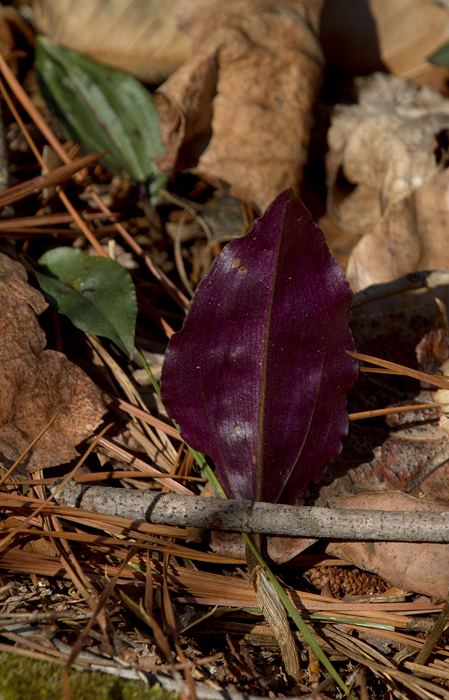 Below: Purple Cliffbrake in Montgomery Co., Maryland (7/17/2011). 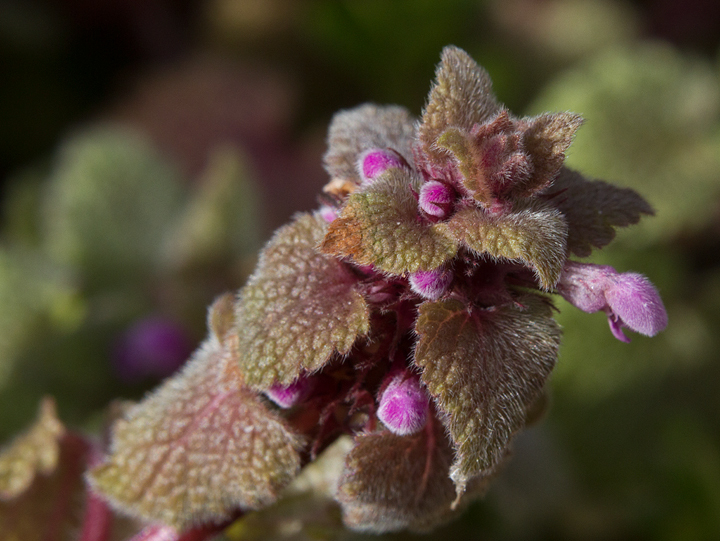 Below: Purple Deadnettle in Calvert Co., Maryland (2/10/2013). 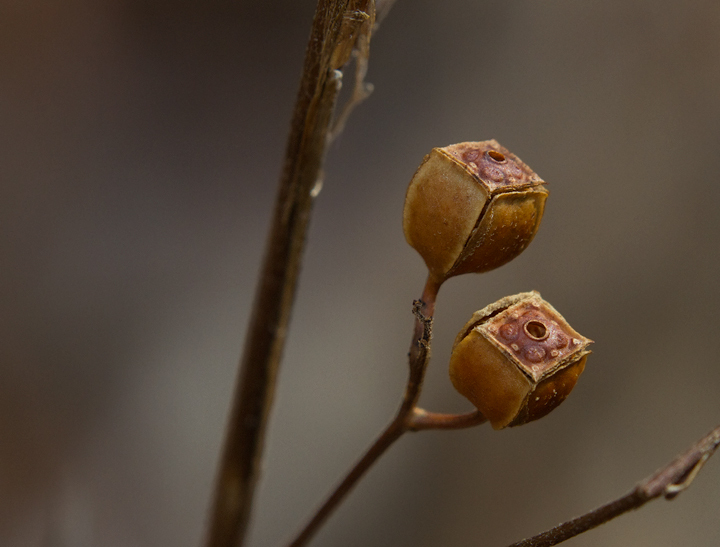 Below: Seedbox in Calvert Co., Maryland (2/10/2013).